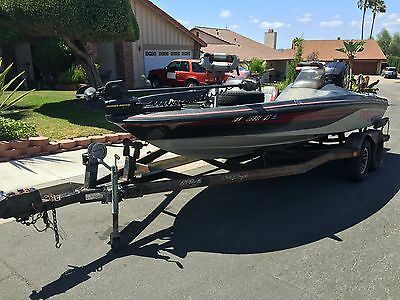 200HP 2 Stroke Mercury Engine Has a Hydro Jack Plate 4 - Blade SS Prop 70lbs Minn Kota Power Drive V2 24V 2 - Gas Tanks (Yes 2) LOTS LOTS of storage fort all your gear 2 Huge Live Wells Dual Consoles 3 - Marine Batteries 2 - Bank Marine Battery Charger "Bass Pro XPS" * Needs to be re-carpeted and needs a good polish, Engine has a faulty #5 piston, we have the replacement but have not gotten around to fix it yet. ** Trailer has some rust needs to be painted: it is Dual Axle with Custom wheels, tires are in great shape. *****Please don't contact with Trades or any un solicited services. 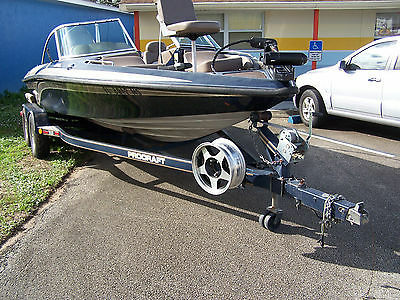 I am selling my 1989 16 ft Procraft bass boat. 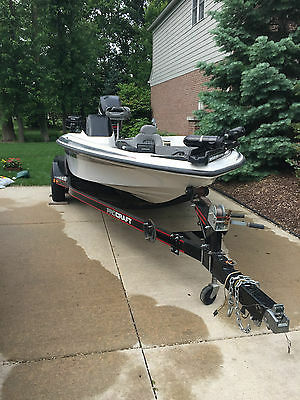 The model is 1600 Pro V. I keep a boat on a lake an hour from our home and I purchased this boat last year with plans to fish the Cedar River near my home. I switched jobs last year and will be traveling so I don't see my free (fishing) time happening anytime soon so I am selling this at a lot less than I have in it. The boat is in great shape for the year. It could use a wax job. There are your ordinary scratches and dings that you would expect from a boat this age (see the pictures) but it is in overall good shape and ready to hit the water. There is plenty of storage, livewell, bilge pump, ladder and many extras. It does come with a used 24 volt trolling motor with remote control. It has not been mounted yet. I bought the trolling motor used last fall and didn't get a chance to get it mounted. The motor is a 1993 Mercury 90 hp with very low hours. It has tilt and trip and a stainless steel prop. It runs great and really pushes this boat well. It also had a NEW steering cable and carborator kit last fall. Again, this thing is ready to drop in the water and fish. The boat is located in Marion, Iowa (Cedar Rapids). It is listed locally. Please contact me through Ebay or call me at 319-360-2286 with any questions. Thanks. 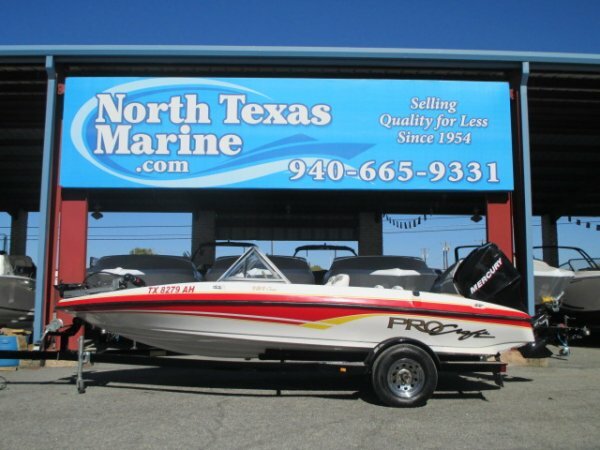 Always stored inside, rarely used and beautiful this 18' fishing machine is... Comes with a matching ProCraft trailer with buddy bearings and good tires. The 150 Black Max makes this boat scream. Look at the pictures under the motor cowl and you will see that it looks new. 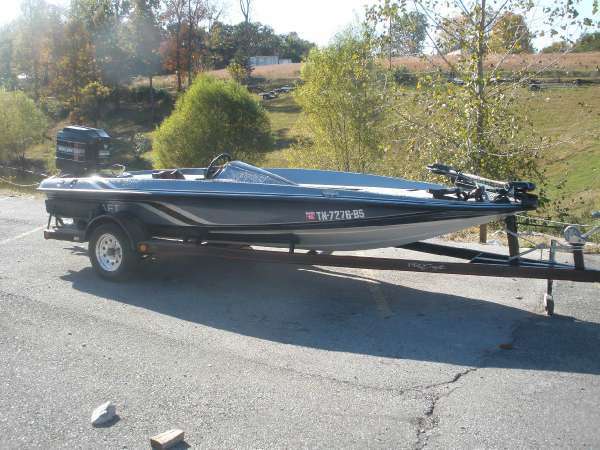 This is just as good of a ski boat as it is a bass boat. There's very little compromise. It has two live wells. 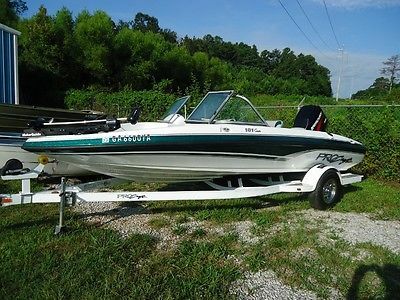 This boat will pull a wakeboard or two tubs easily and will get you to the best fishing spots on the lake fast. It's a very comfortable and dry boat. The walk through windshield makes it so nice. It has a high dollar GPS and depth finder with which you can insert the nautical lake maps that show where to fish and the exact contours of the bottom of the lake. It has a sonar unit on the bow as well. You can control the tilt and trim of the motor from the bow, cockpit, and when standing beside the motor while loading. It comes with a bimini top, cover, spare tire, and spare tire cover. It has an onboard charging system and three gel batteries. It's ready for the trip home and for the water. The titles are ready to transfer. We have it listed 'For Sale' locally so we will end the auction if it sells before the auction ends. Here's a link to its' youtube video: http://www.youtube.com/watch?v=O52PKwAFcas Call 830 481 0003 to make an eBay-sanctioned buy it now deal. All deposits are NOT refundable. Some fade in the color, needs carpeted again. I have new carpet for the trailer as well. The boat is in overall great condition. I have the title to the boat, trailer, and motor. 2 marine batteries with a charger. 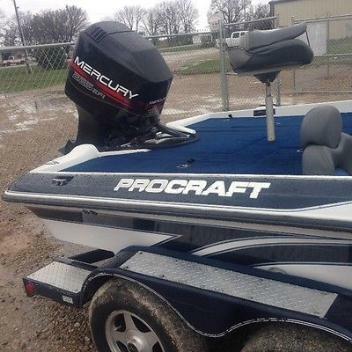 It comes with a "like new" trolling motor and fish finder. Does stick a little going into reverse. Changed all the electrical connections this year due to some corrosion. Overall the boat is in great condition. The 150 Merc gets you where you need to get! Most would say that is too much for the boat but ProCraft are heavy and it handles just fine. 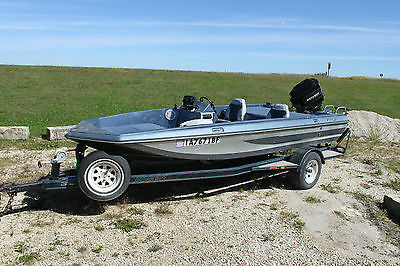 1999 PROCRAFT BASS BOAT, OPTIMAX MOTOR, AND PROCRAFT 2 AXEL TRAILER LIKE NEW!!!. 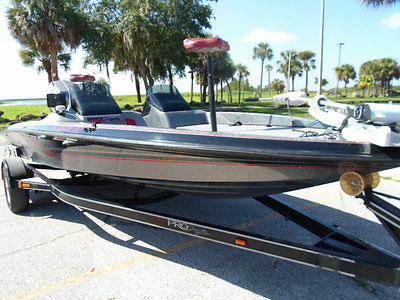 I am selling my 1989 16 ft Procraft bass boat. 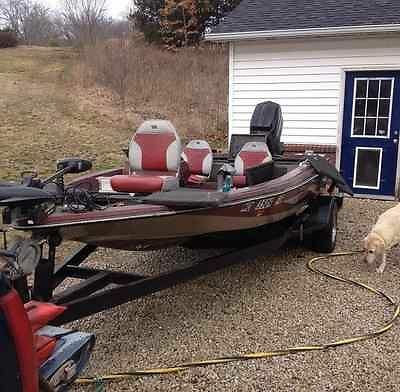 The model is 1600 Pro V. I keep a boat on a lake an hour from our home and I purchased this boat last year with plans to fish the Cedar River near my home. I switched jobs last year and will be traveling so I don't see my free (fishing) time happening anytime soon so I am selling this at a lot less than I have in it. The boat is in great shape for the year. It could use a wax job. There are your ordinary scratches and dings that you would expect from a boat this age (see the pictures) but it is in overall good shape and ready to hit the water. There is plenty of storage, livewell, bilge pump, ladder and many extras. It does come with a used 24 volt trolling motor with remote control. It has not been mounted yet. I bought the trolling motor used last fall and didn't get a chance to get it mounted but I will include it and the buyer will be responsible for mounting it. The motor is a 1993 Mercury 90 hp with very low hours. It has tilt and trip and a stainless steel prop. It runs great and really pushes this boat well. It also had a NEW steering cable and carborator kit last fall. Again, this thing is ready to drop in the water and fish. I have it priced for way less that I have in it but I need to get it out of my garage. The boat is located in Marion, Iowa (Cedar Rapids) and must be picked up there unless arrangements are made before the close of the auction. Please contact me through Ebay or call me at 319-360-2286 with any questions. Thanks. 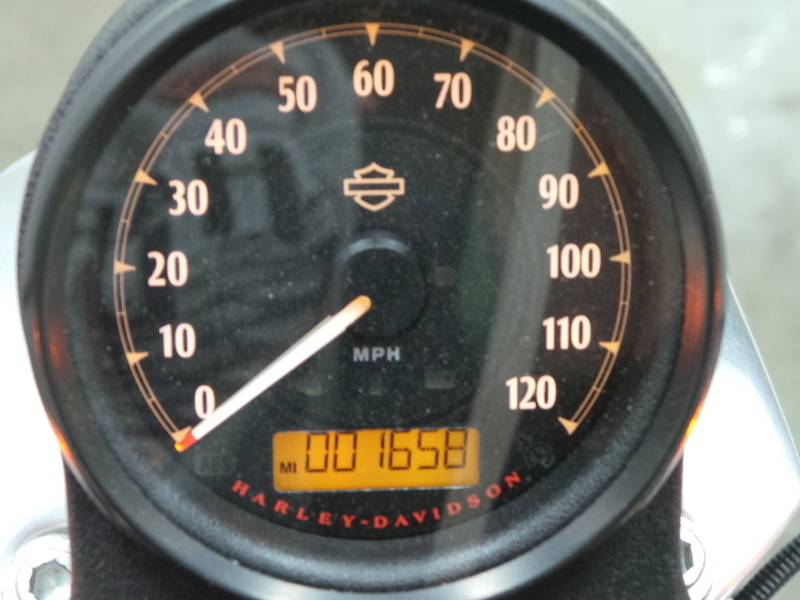 2006 TRACKER PROCRAFT 181 COMBO, A cool boat for the budget minded. It truly is a combination of a speedy bass, walleye or other sportfish and a zippy ski boat for having fun on the weekends. This 18 footer (18ft.5in. to be exact)comes with a Mercury Optimax 150, Motorguide 24 volt trolling motor with 70 lbs thrust, an Eagle Cuda 128 fishfinder, bimini top, (2) casting chairs and posts, full storage cover, aerated livewell, AM/FM/CD Player, SS folding swim ladder and a Pro-Mite charger.The trailer seen here is included in the price.